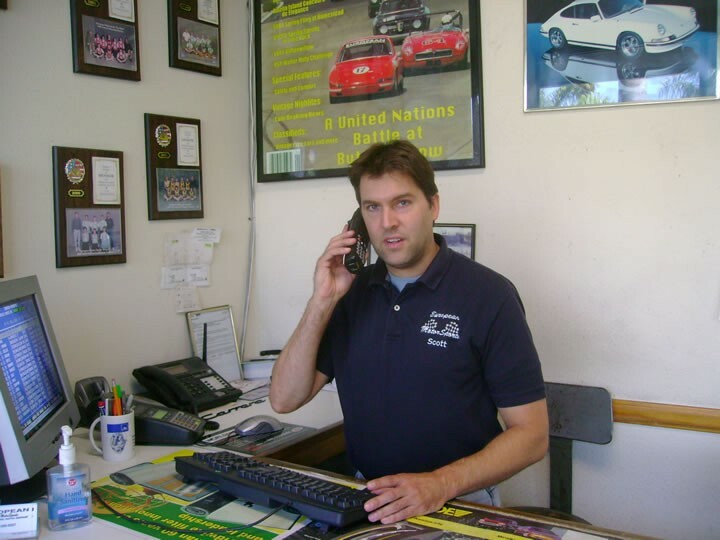 European Motorsports is a full service, German auto repair & maintenance facility. 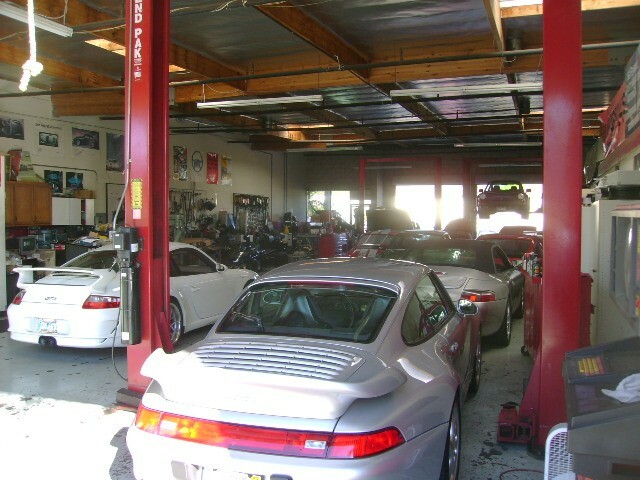 We can repair & maintain your Porsche vehicle. Started in Sept. 1992, we are family owned & operated and take pride in our workmanship & ethics. Serving North County San Diego, including Vista, Carlsbad, Oceanside, San Marcos, Escondido, Fallbrook, Poway, Encinitas, and Temecula area for over 20 years. Please let us know what your Porsche needs and questions are, we will be more than happy to help. 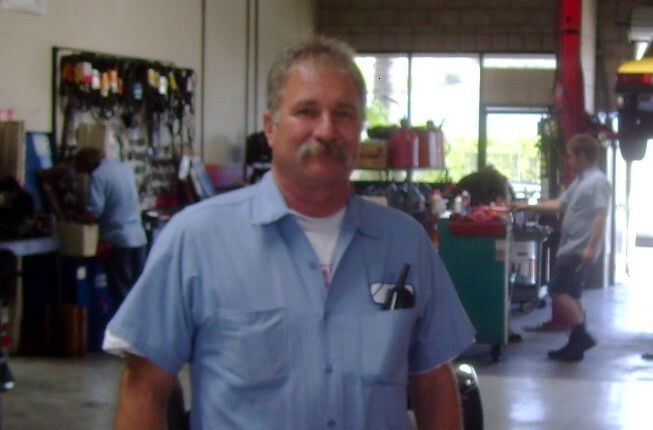 Just call (760) 599-9307 and Cameron or Joe will be at your instant service. I would not hesitate to say that Cameron always takes very good care of me, and my beauTT. Anyone having a German car should use this shop! Quality work on my 2005 Porsche AC, nice people, did what you said you could do on the phone. Great quality of work, good pricing and honest evaluation of needs. Glad to have found the place through Cameron. Excellent work, very fair pricing, very easy to work with, always gives me different options to save money. Great ... I have sent many customers to you. European Motorports has a genuine care and concern to repair my car in the most cost-efficient and informed ways as possible. Nothing is made confusing or vague. All the employees are trustworthy and approachable. 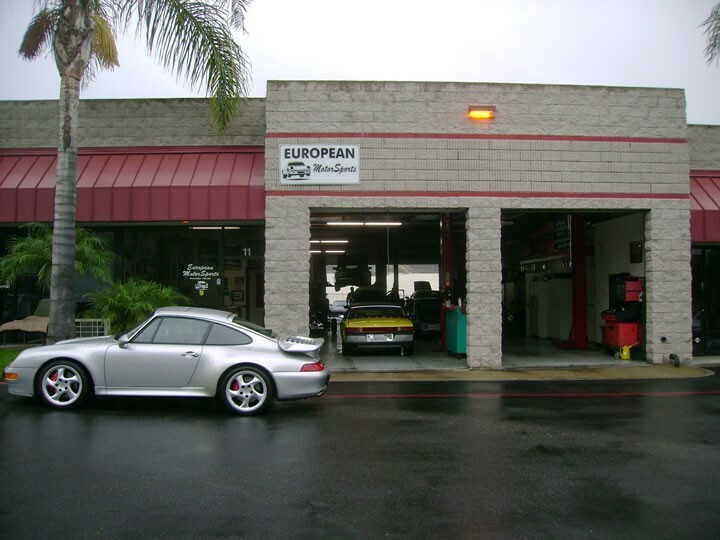 Best European car repair shop in San Diego County! I've met every one of Joe's employees and I feel like part of the family. I never have to wonder if I'm being sold a bill of goods. For over 15 years I have been a very, very pleased customer. Had problem with my Porsche that there's lingering gasoline smell inside the car. Brought to another so-called European specialist in the area, they steamed clean the car and charged me $150. Of course the problem still persists, after much research, I found European Motorsports @ Vista, CA and they were able to pinpoint the problem and fixed it. These guys know what they are doing. No BS. Reasonable prices. Great work ethics. And never tired of my questions. Don't be fooled by mere pleasantness from other places. You know you've found a great mechanic when your car runs well. After purchase of a Texas '95 968, European Motorsports was used to bring the car to prime condition. Their resident expert on 944 -968 is Phil - a top notch technician and avid racer whose real genius is in transmissions. Needless to say all work was outstanding, prompt, and very reasonable. I would recommend this shop, and everyone associated, with absolutely no reservations. Recently had the front brakes on my '98 Boxster done at European Motorsports. Upon showing up for my appointment Joe, the owner, who had already been courteous, competent and helpful on the phone, checked the actual status of my rotors and pads, front and rear, before ordering parts. The work was done promptly, the service was outstanding, and the bill came to $50 less than the estimate had been, and came in at about 40 per cent less then the Porsche dealership would have charged. In conclusion, finally an independent Porsche mechanic worth returning to.